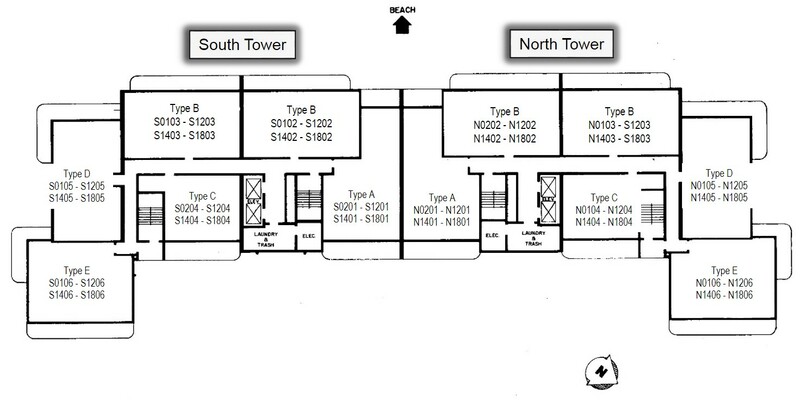 The Admiralty House is split symmetrically to give the building “north” and “south” portions that mirror each other. 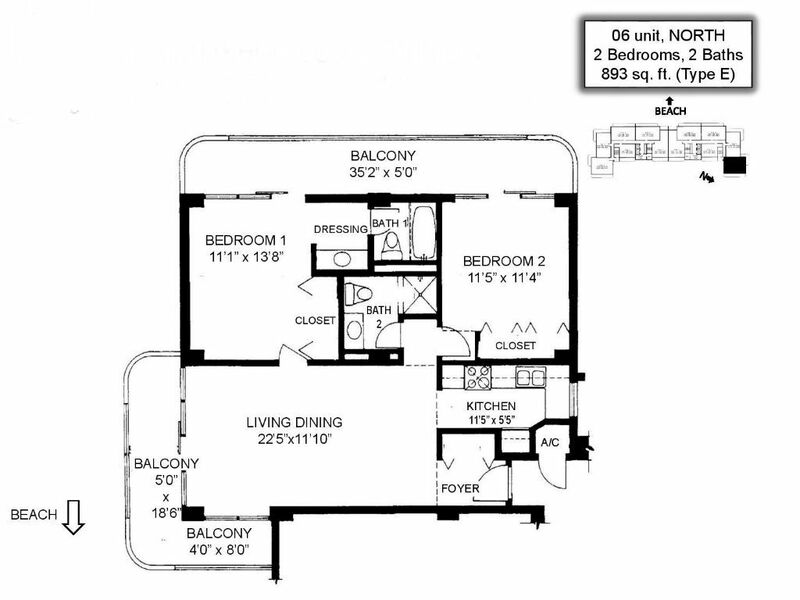 There are 5 different floor plans, each of which has a designation of North or South depending on which end of the building it lies on. 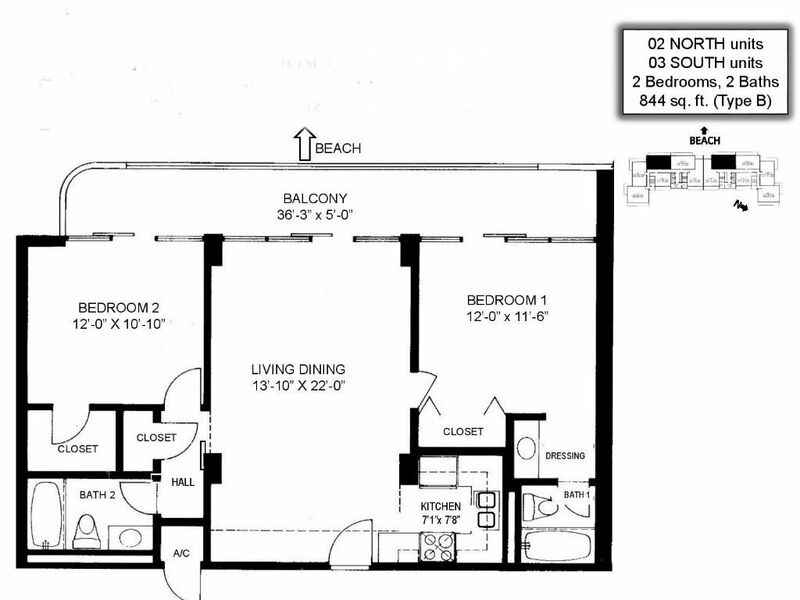 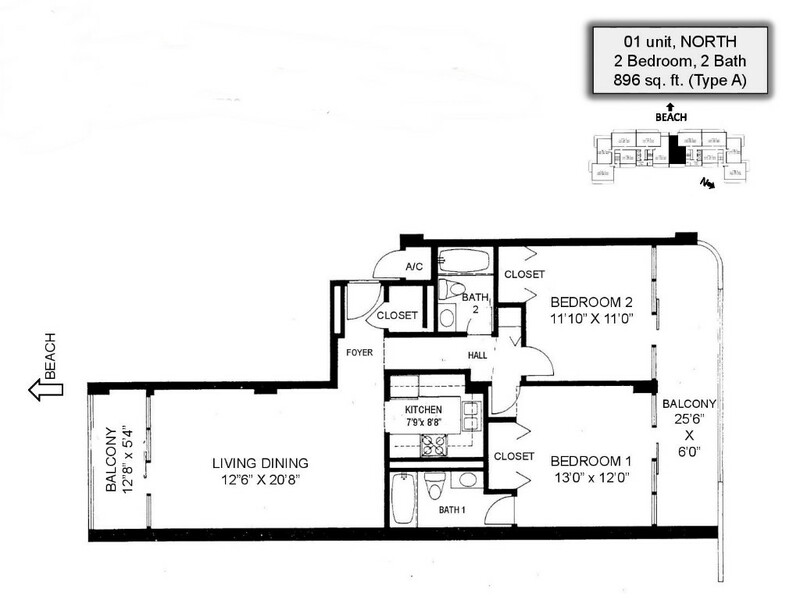 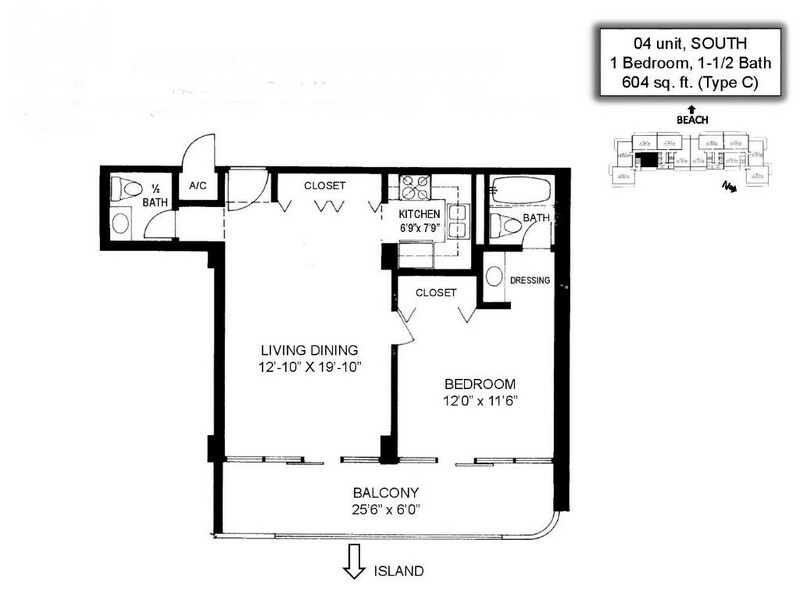 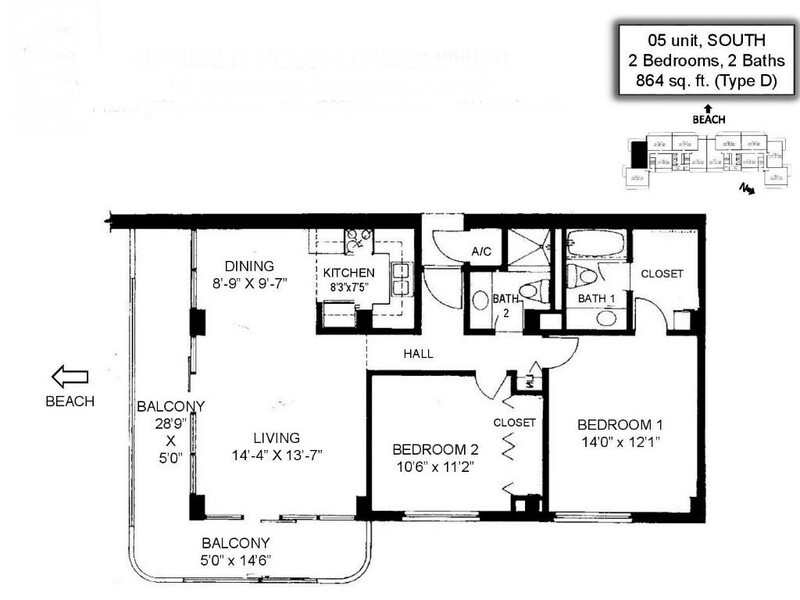 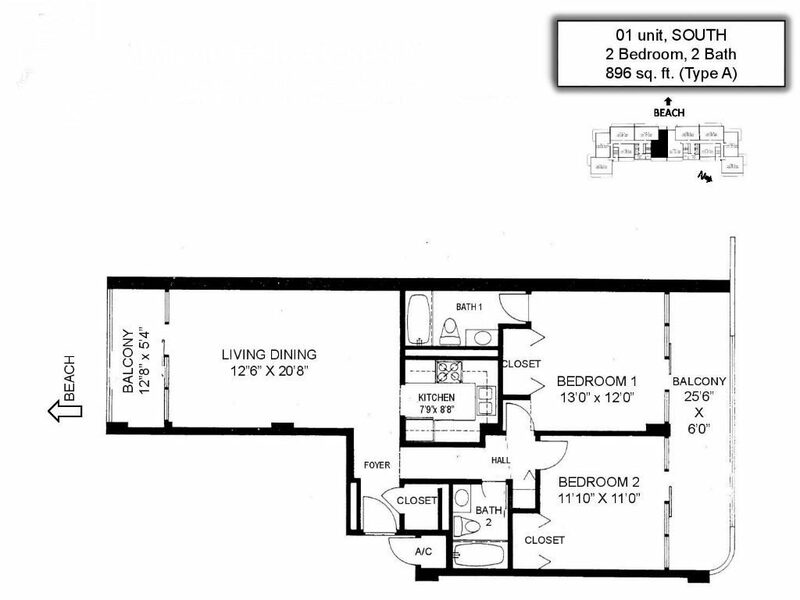 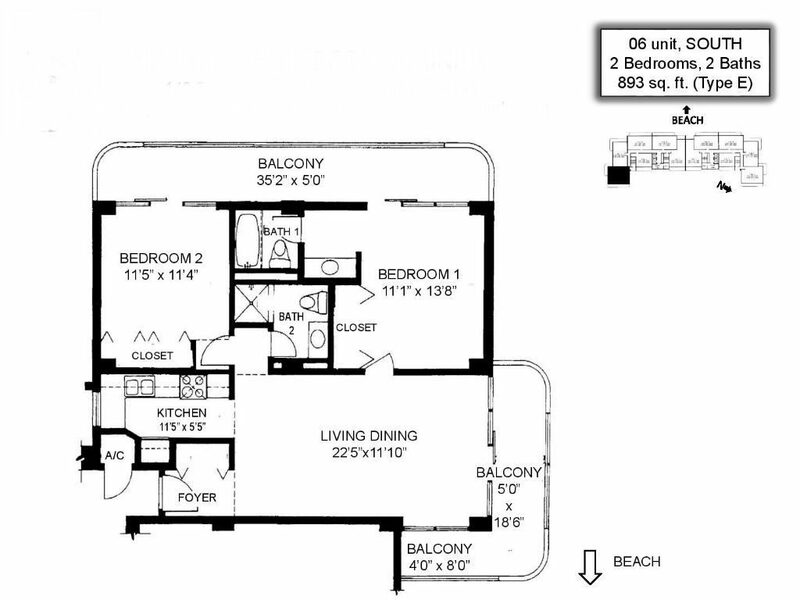 Floor plans range from 604 ft² 1BR/1.5BA units up to 896 ft² 2BR/2BA units. 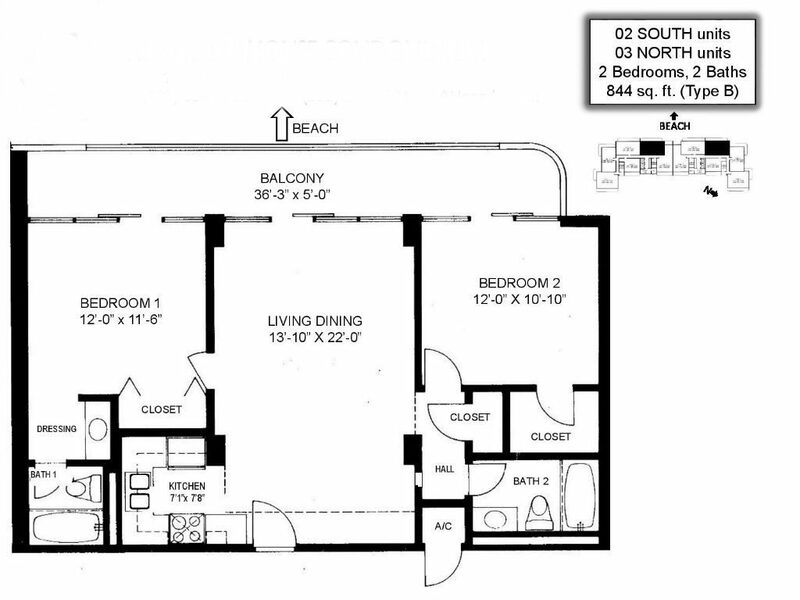 Each floor has a shared laundry room, each unit has a private balcony and each unit comes with a covered parking space. 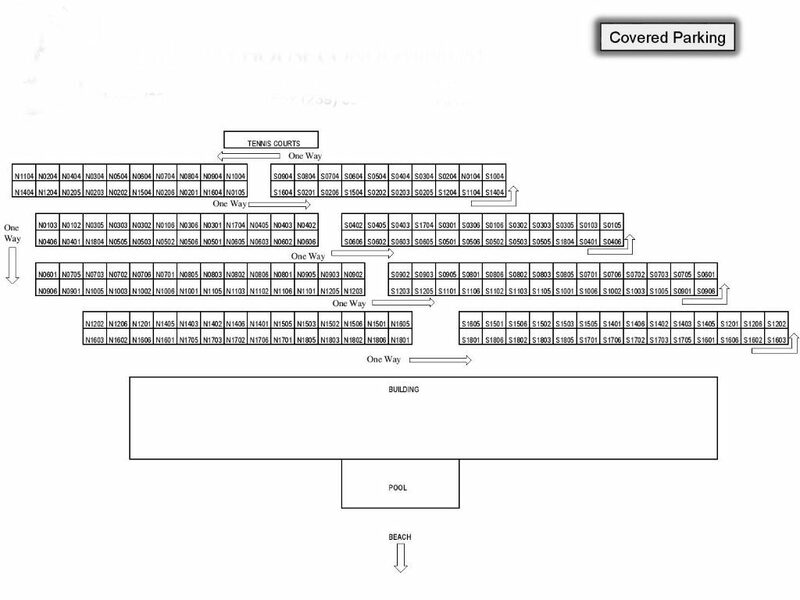 Below you will find pictures for each layout in addition to the layout for the covered parking. 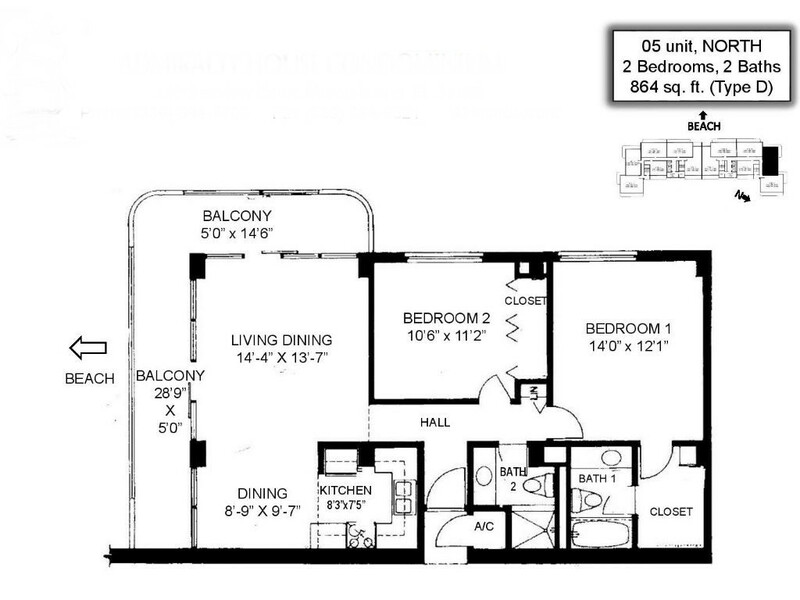 Each unit includes a covered parking spot with secure storage space. 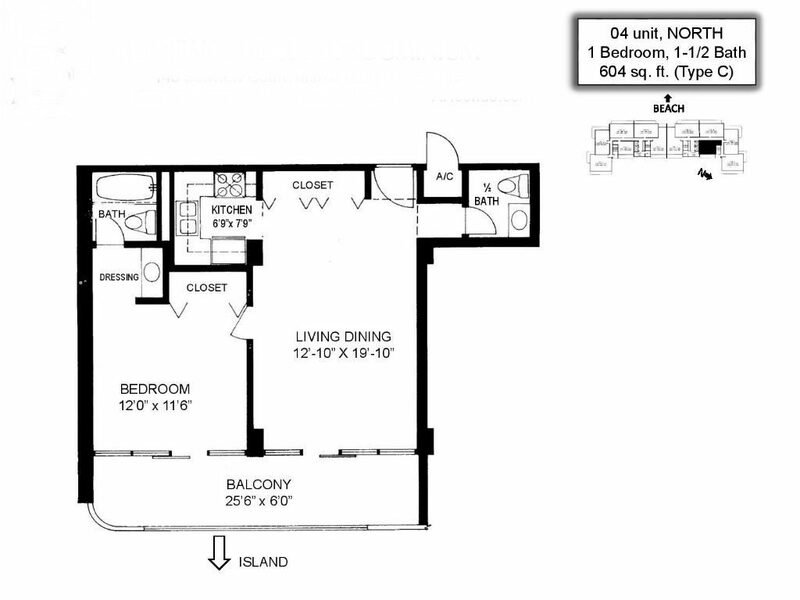 Take a look at a sample of spectacular views you can enjoy from the Admiralty House of Marco Island.